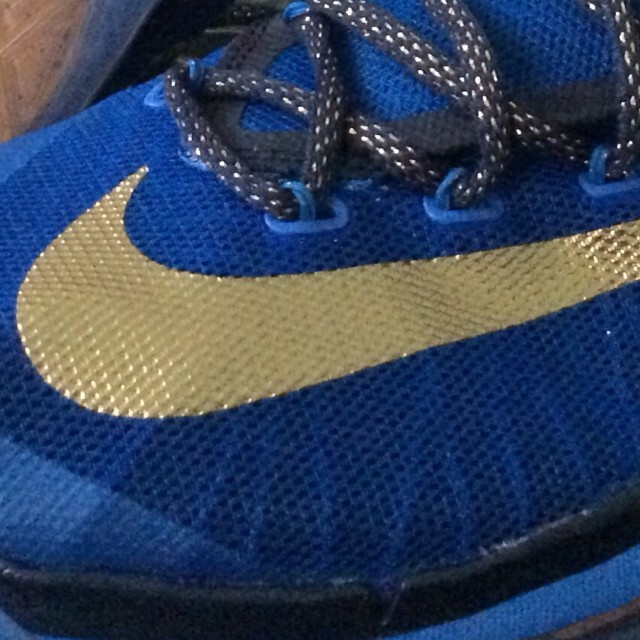 Remember the Nike KD 6 that Kevin Durant may have worn during the NBA Finals had Oklahoma City advanced? There's an Elite version, too. 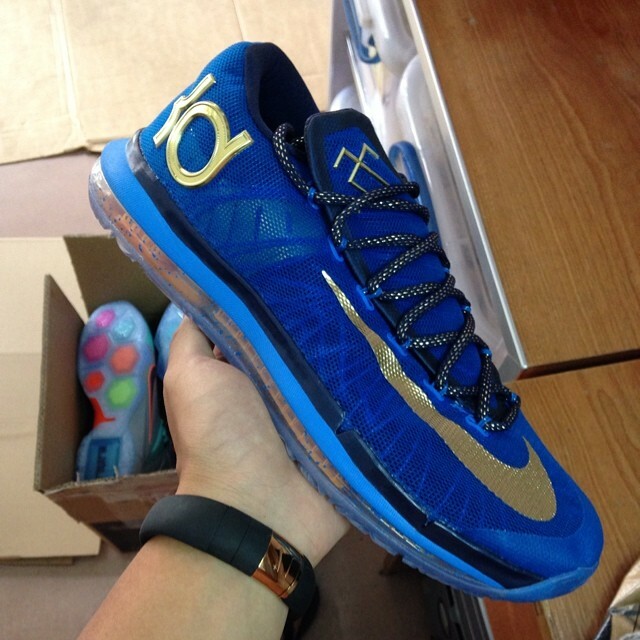 This KD 6 Elite sports a blue mesh upper, accented by hits of metallic gold on the logos and laces. Below sits a photo blue midsole, full-length Zoom bag and flaked translucent outsole. Of course, Durant didn't really wear the Elite too often, so maybe it wouldn't have hit the court after all. Would you like to get your hands on this colorway?